After our Bird Themed Preschool Week, Lena has been telling everyone that she wants to be an ornithologist, so I guess the week was a success! We enjoyed bird watching and identifying birds outside of our window, lots of great picture books, and some bright and beautiful crafts. I hope you find something here that will inspire your own bird themed week! At the time we completed these activities, Lena was 4.5 and Maggie was a young 3. 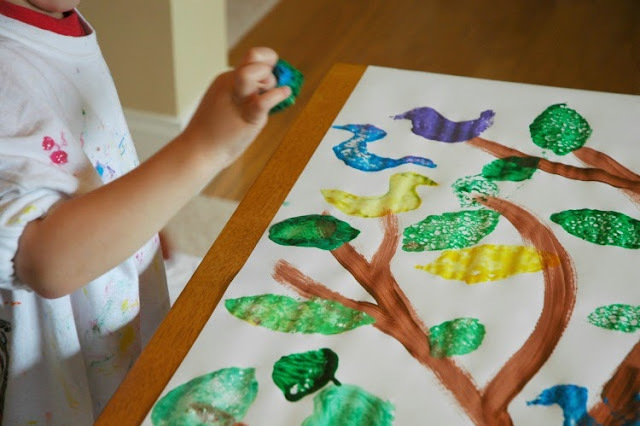 Working with tissue paper and Con-Tact paper was great fine motor work for Lena and Maggie, PLUS the end result was these beautiful Little Bird Suncatchers. They've decorated our window all week and brightened our room. 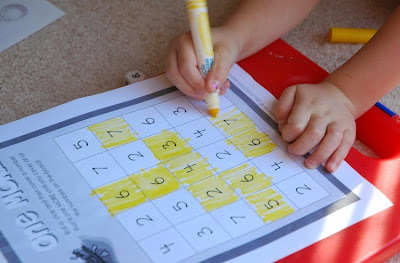 Once again I turned to my favorite resources for preschool printables and found some from Homeschool Creations and 1+1+1=1. I usually download the whole thing and then just print the pages that I know we'll use. Out of these sets, my favorite pages were the "One More" and "One Less" pages that you see Lena working on above. It's great simple math practice. 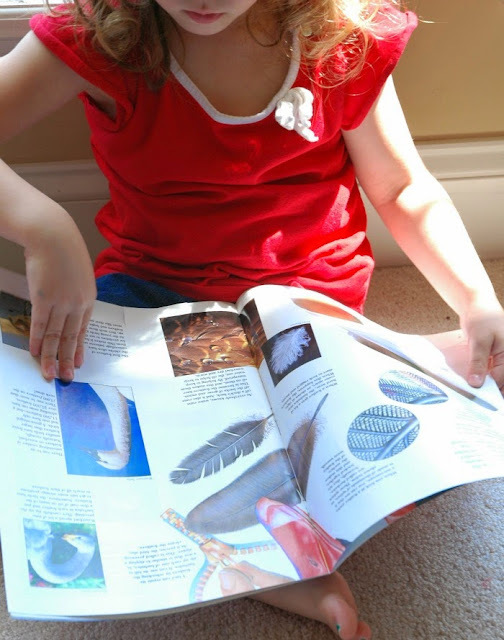 We've had a subscription to Zoobooks for several years now, and it is probably my girls' favorite magazine. We hang on to them all and pull out what we're interested in studying for the week. We had several issues about different kinds of birds that we read during the week. 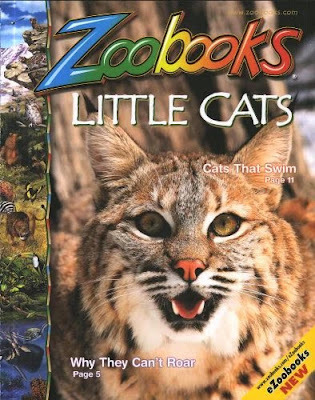 One thing I love about Zoobooks is that each issue is PACKED with information-- so much that your child won't take in all in in one reading. That way, you can re-read them over and over and pick up something new each time. 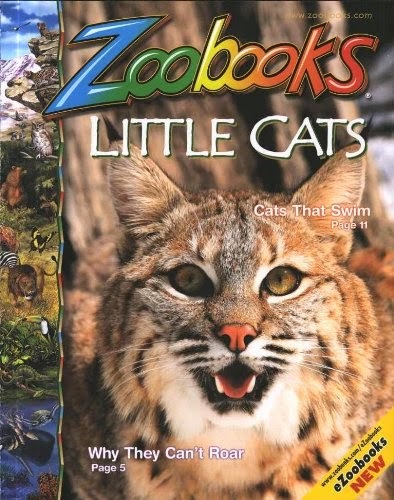 Officially, Zoobooks are for ages 6 and up, and the companion magazine, Zootles is for ages 2-6. We chose to go straight to Zoobooks, however. The girls learn what they can from them now, and they'll still be able enjoy them in later years as well. There's nothing like a GIANT art project to get your kids excited. Read all about it. 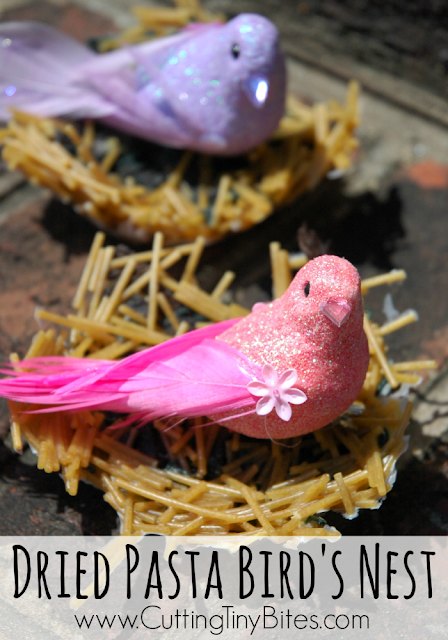 We used dried pasta and glue to make these adorable little bird nests. They've become a staple in the girls' imaginative play! Learn how to make your own. 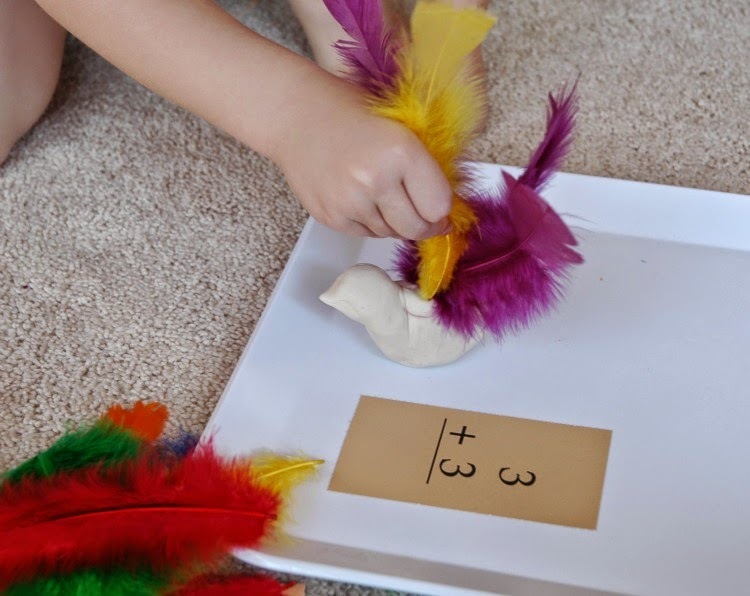 Here's a quick and easy math activity you can do with a bird week. Grab a can of play dough and mold a quick bird shape. You just need a body, tail-ish shape, and a head with a pointy beak. You can do it! 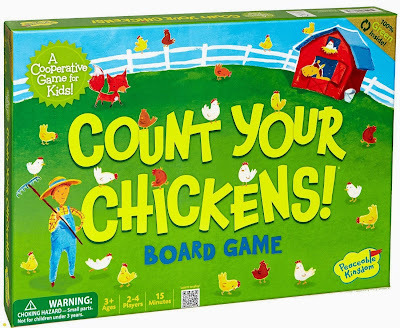 Next, set out some feathers and simple math cards. For Maggie, I set out a numeral card and she worked on numeral recognition and counting. 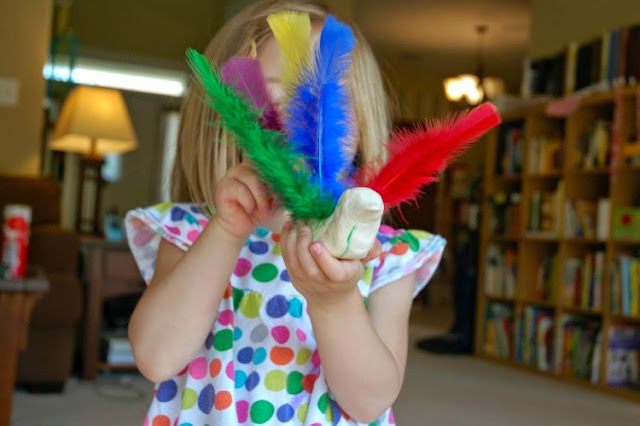 She counted the correct number of feathers and stuck them in the bird. For Lena, I gave her a simple addition card and she used the feathers to help her solve the problem, then stuck them in the bird. 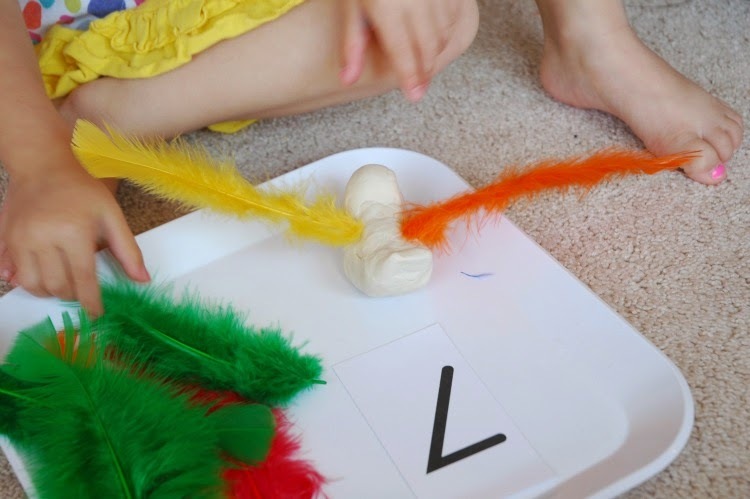 After they'd added the correct number of feathers, they helped the bird around the room that number of times, which added a nice gross motor element to the activity. Then we took the feathers out and solved another problem! 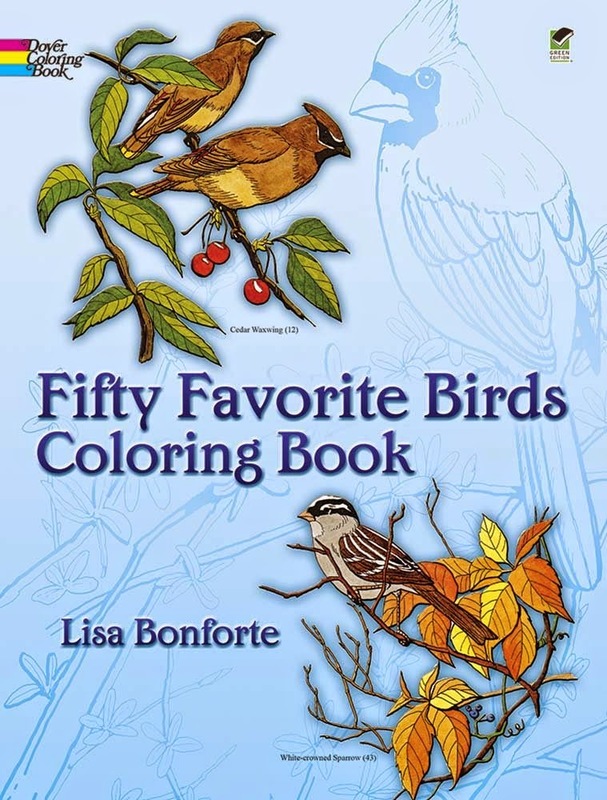 Lena has loved coloring the pictures in this Fifty Favorite Birds Coloring Book from Dover. 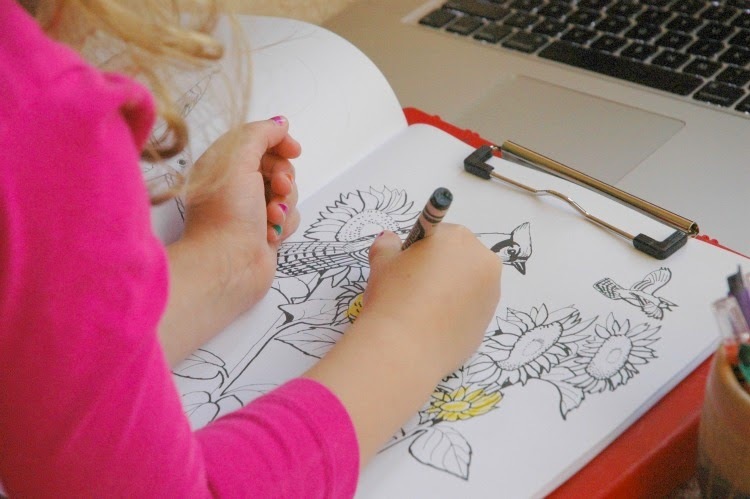 Dover makes awesome coloring books about all kinds of topics; they're great for adding a little educational boost to the already super beneficial activity of coloring. This bird book has a color version of the images inside of the flap so that your child can refer to it when coloring the birds to get the colors accurate (not important in regular coloring, but bird colors are pretty important for identification). I also set up the laptop in front of her with pictures of the birds that she could reference. 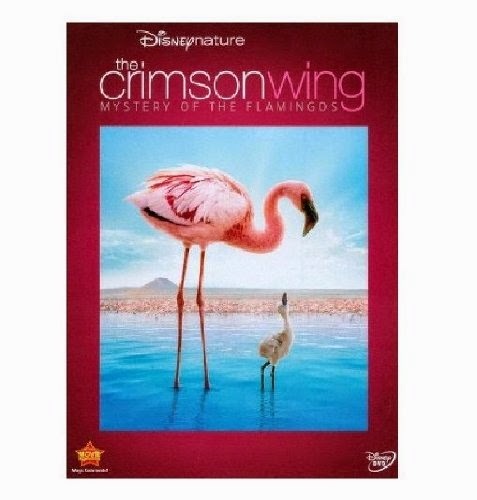 The girls watched this documentary, The Crimson Wing- Mystery of the Flamingo, from Disneynature this week. There were several very graphic predator/prey type scenes that I zipped past, so you'll definitely want to stay nearby with a hand ready on the remote if your young kids watch. For the most part, though, this is a beautiful movie that taught a lot about flamingos. Lena was able to pay attention through the whole thing, while Maggie's attention came and went. It is available to stream through Netflix, or is available to rent via Amazon Instant Video for $3 or $4. 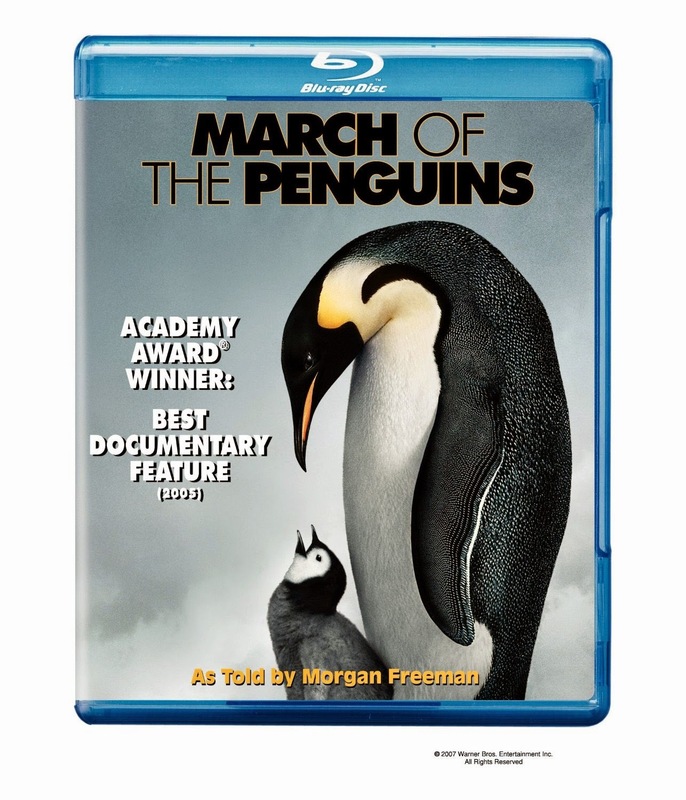 Another great movie for a bird themed week is March of the Penguins. We love those little guys! This movie also has some harrowing scenes that are typical of nature documentaries, so be sure to be nearby with a remote to fast-forward if your child is likely to be upset. It is available to rent from Amazon Instant Video. 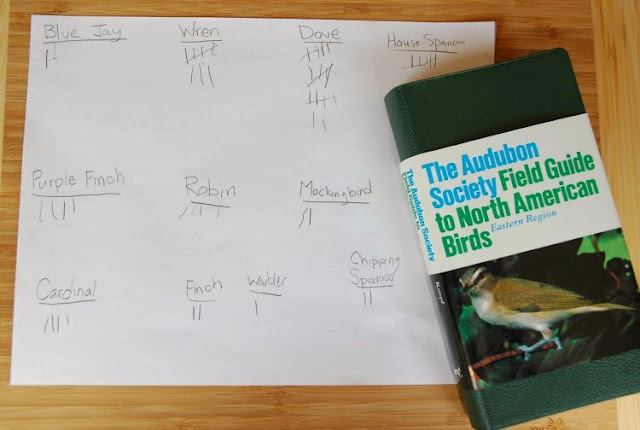 Our bird watching tally was-- by far-- been our favorite activity of the week! We have a very active bird feeder outside of one of our back windows. At the beginning of the week, I simply took a sheet of copy paper and taped it to the window. As we spotted birds, I wrote down the name of the bird and showed Lena how to make tally marks to count them throughout the week. Anytime we saw a bird, we'd add it to the tally. The whole family got involved in searching through our Audubon Society Field Guide to North American Birds as well as the Audubon Online Field Guide (an AWESOME site, by the way). Most evenings after dinner the family ended up gathered by the window together. We learned a lot about the birds that frequent our feeder. And Lena learned about tally marks and skip counting by 5s. 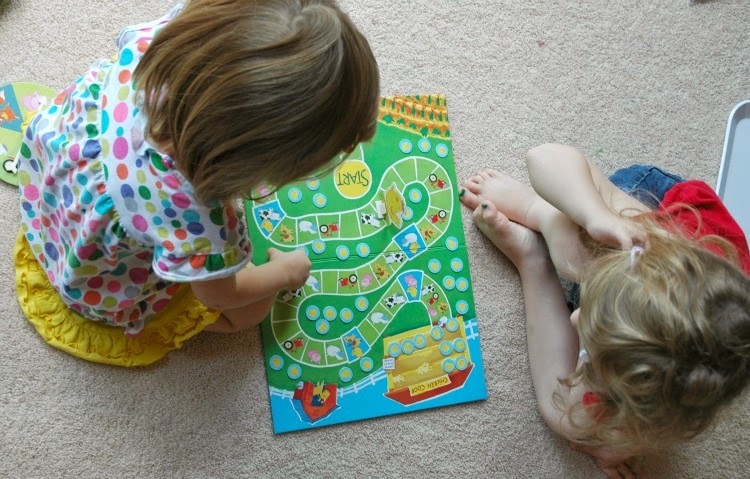 Lena and Maggie are quite competitive with one another, so I love this cooperative game from Peaceable Kingdom. It's called Count Your Chickens and requires that the players work together towards a common goal. The game also helps to develop counting and one-to-one correspondence, so Lena is able to help Maggie when she has some trouble. It was just the thing to pull off the shelf for our bird week. 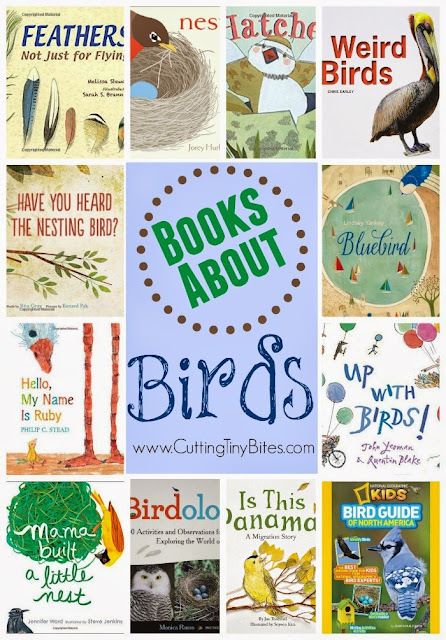 All of these Books About Birds are just beautiful! Take a peek at my reviews and add some to your library list for the week. 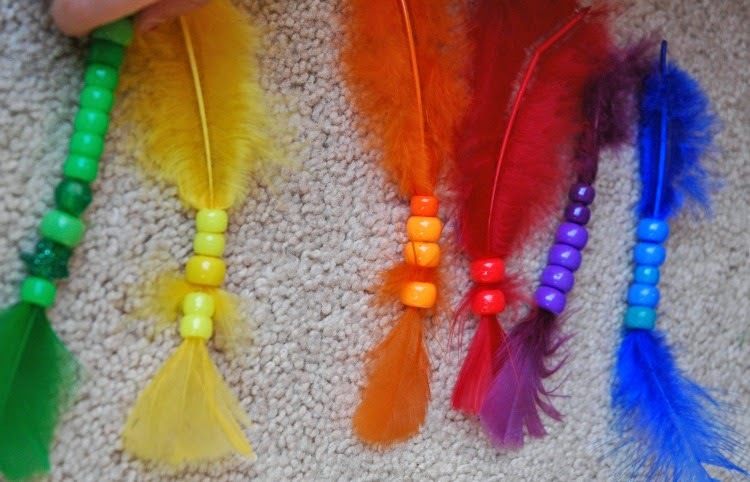 We've done this awesome feather fine motor activity from Sugar Aunts several times, and it's awesome! It's easy to pull out what you need, and keeps my kids busy for a solid 15 minutes. 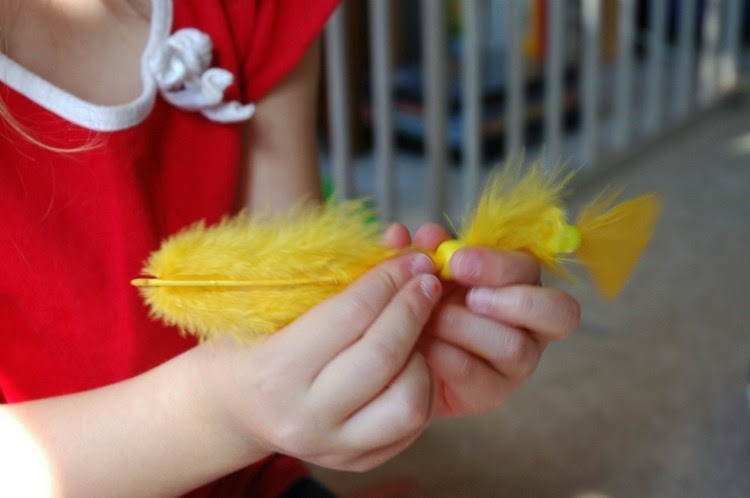 I loved watching Maggie concentrate so hard on turning the bead just the right way to get it onto the feather. Squeeze in a trip to the zoo if you've got time. Or, if that's not feasible, visit a pet shop and look at the birds on display! 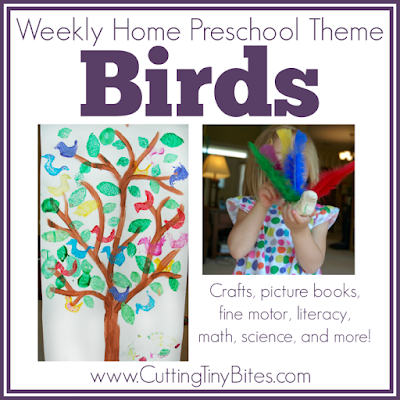 Bird Theme Weekly Home Preschool. 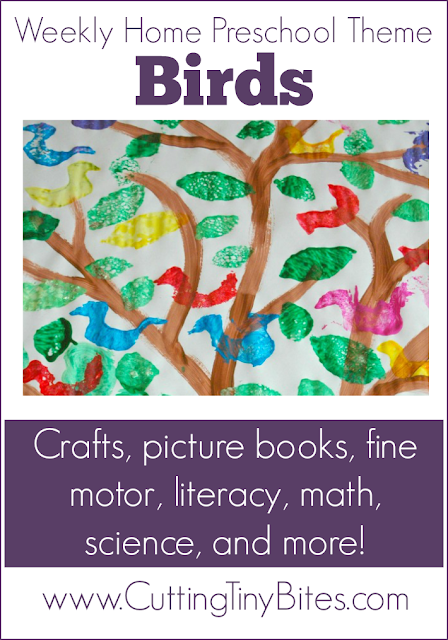 Math, crafts, picture books, literacy, fine motor, field trip, and more! 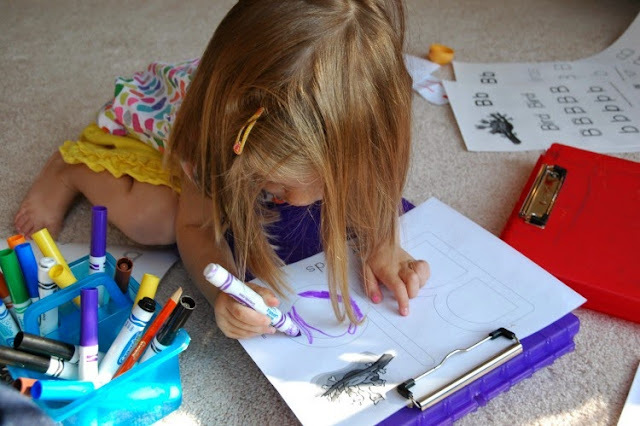 EASY week of homeschool Pre-K activities.